April: The First full month of spring is finally here! It’s a tough tie between Fall or spring for which is my favorite season. They both feel like the start of something new and wonderful. But April is the celebration of Easter and my birthday month. It’s the second to last month of school.Mother’s day is around the corner and the lure of summer and swimming pulls us further into the calendar. It’s finally warming up, we have longer sunnier days, beautiful things are growing everywhere. It’s time to pull out the sandals, and rain boots, open up the windows and let the breeze in. Dust away the cob webs from winter and get some dirt under our finger nails outdoors. 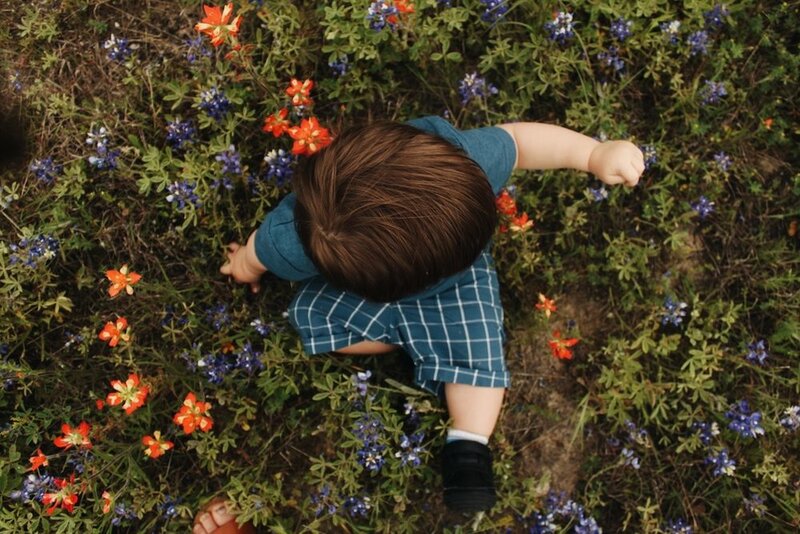 In honor of April and spring I’m rounding up a few of my favorite ways to celebrate spring with my little people ( My children are 4 years and 16 months and the following suggestions/activities are always done under parental or adult supervision but always follow the suggested age use of products to be safe). These would all make excellent easter basket stuffers too! If you haven’t gathered from my last post or from my stories on instagram I love reading especially with my children. A few of our favorite spring reads lately are: Planting a rainbow by Lois Ehlert (this is my 15 months old favorite book! We have the board book version and the words are very short and illustrations bright and colorful). And because it just came out and we preordered it and loved it- We are the gardeners by Joanna Gaines. This is a longer book but the illustrations and stories are beautiful. Also the Tiny Seed by Erica Carle. Another one of my favorite things to do with my children (besides reading) is crafting and drawing and anything artsy! If you love sensory toys and don’t mind something a little messy we have been loving The Flower Dough Maker Set by Green Toys! It is made with organic flour, with recycled plastic and made in the USA. (Recommended ages 2-8) My 4 year old loves making the flowers and my 15 month old is less into the dough but loves the parts that construct the flowers. We also use this as an “invitation to play” along with the books I suggested earlier. Also if you are needing a few minutes of quiet independent play we love all the Melissa and Doug art products but especaily the Jumbo Coloring Pads and the Reusuable Water Coloring Pads are perfect for use in the car or at the grocery store. With easter less than a week away this is the perfect time to dye eggs! This is our favorite easter egg dying kit! We use the eco egg coloring kit. The dyes are non toxic and made with fruit, plant, and vegetable extracts. It also includes a grass growing kit so you can reuse the egg shells that you dyed. This makes it a perfect activity for earth day too! Spring is the perfect time to try using your green thumb! And if you don’t want to go full out with a whole garden there are so many options for indoor plants and potted plants! I have discovered my little people really love anything messy ( especially dirt ) so we love the Green Toys Indoor Gardening Kit. As I mentioned earlier they make their products here in the US and use recycled plastic which I Love! Laura Ingalls Wilder best summed up spring “Some old fashioned things like fresh air and sunshine are hard to beat”. I hope you have taken away some ideas for reading, making, and growing with your littles this spring! And that you enjoy lot’s of sunshine and fresh air with your children this spring! If your’e feeling extra adventurous this spring I highly recommend keeping chickens! You can read why here: The Joy of keeping chickens. Also some thoughts on activities we can do to be more mindful and intentional with what we put our hands to: Reclaiming our hands. 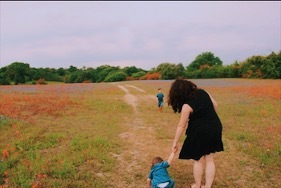 Are there any special things you like to do with your children in the springtime? Help a mama out by leaving a comment below :)!